Married at First Sight couples Dave Flaherty and Amber Martorana as well as Tristan Thompson and Mia Bally announced their divorces during Tuesday night's Season 7 reunion special on Lifetime. Married at First Sight wrapped its seventh season with the three couples from Season 7 sitting down with host Samantha Harris and the show's three experts Dr. Jessica Griffin, Pastor Calvin Roberson and Dr. Pepper Schwartz to discuss what happened once the cameras left. 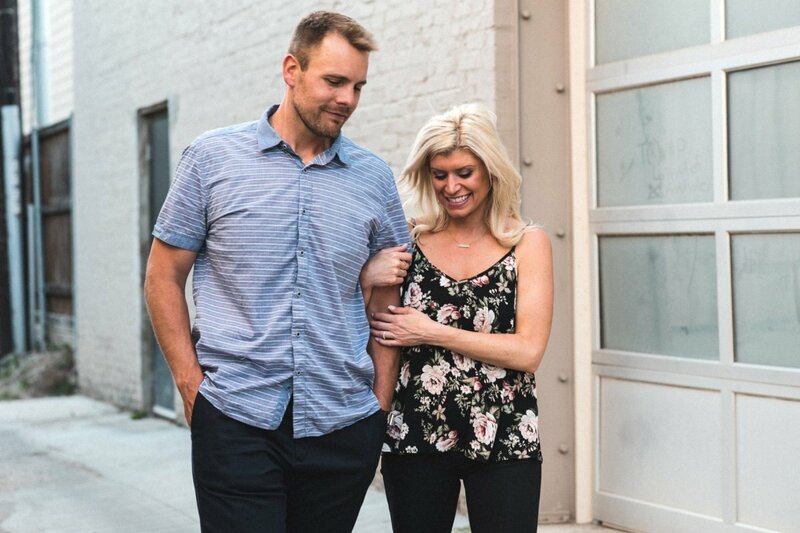 As fans recall, Tristan and Mia, Dave and Amber, and Bobby Dodd and Danielle Bergman all decided to stay married and try to make their relationships work on "Decision Day," which aired last week. Danielle and Bobby announced prior to the reunion airing they are still together and expecting their first child, so the real mystery came down to what happened in Mia and Amber's marriages. Tristan first shared on the reunion special that his romance with Mia almost immediately turned sour after taping the "Decision Day" finale. "The day after we were done filming, she walked out again," Tristan revealed. "Like TV show is over, I'm done, or a blowout?" Samantha asked. "Yeah, I was scrolling on my Facebook and I just see a random video of my ex, and then that really set her off. She was like, 'Well, you care about her!' And I'm like, 'Where did you get that from? What are you talking about? Why can't you just be secure that you're here with me? I chose you. I just chose you,'" Tristan recalled. "And I said, 'You can't keep doing this; you have to get mentally tougher. And about 30 seconds later, she had her purse over [her shoulder] and she said, 'Well, you don't have to be mean about it,' and she stormed out." Tristan then left the stage and Mia joined Samantha and the experts alone. When asked about the transition or adjustment period after the show, Mia explained, "It was hard, because it was like the training wheels were taken off of my bicycle and I'm left to drive myself and I'm just driving it into a ditch." In Mia's own words, she said the day after filming ended, Tristan started showing Mia pictures of his ex-girlfriend. "Like, 'Hey, check out my ex-girlfriend?'" Samantha asked. "Actually, yeah," Mia replied. "He was like, 'Check out my ex-girlfriend.' She was in a bikini, so, like a lot is showing, and he was like, 'She's so beautiful,' like talking her up basically," Mia said. "And I was like, 'I'm sitting right here.' And then he was like I'm not mentally strong or mentally tough, so that's when I removed myself from that situation because I honestly didn't know how to handle it." Mia claimed three days later, his mother called her and "expressed that Tristan has tons of women that come up to him and hit on him and I need to be more secure with myself to handle those types of things. And I was like, 'Why didn't Tristan call me? Why didn't he reach out to me?'" Tristan and Mia then confirmed they have split since just after "Decision Day." "We are divorced," Tristan noted. "It's been really tough, but after the last walkout, I said, 'I cannot bet my future on an unstable woman.'" Tristan claimed he initiated the divorce, but then Mia clarified she had suggested counseling first in Houston, TX, and once Tristan refused to work on their issues, she filed for divorce. It then became time to hear from Amber and Dave, and Amber stepped on the stage first to speak with Samantha and the experts with brown hair! The change in Amber's physical appearance was a shock since Amber fought insecurities about her looks all season long and thought Dave preferred a woman who is tall and brunette. Amber explained she wanted Dave to get to know her for who she is rather than stereotype her as "a Dallas blonde." Amber called her change of hair color "a rebellious act" and noted she also did it to keep her hair healthy. After "Decision Day," Amber said her relationship with Dave went "downhill" because the fact she had dated his friend from the gym was "a bigger issue than I had realized." Dr. Pepper suggested they should have just changed gyms, and Amber took responsibility for not following through. "But it was just kind of a block in him developing feelings for me. Later on down the road, after we had more arguments, he just kind of felt more like he doesn't know if he could fall in love with me. And I moved out," Amber admitted. "I felt like maybe he needs more time to know if I'm the one he wants." After Amber left the stage, Dave sat in the hotseat and confessed the adjustment into normalcy was a lot tougher than he thought it was going to be. "I think the cameras and the experts are a bit of a safety net, and I think when they were gone, we maybe lost our way a little bit. Amber moved out. I went golfing and I got home and she was gone -- all of her stuff was gone," Dave said. Dave said he had no idea Amber was going to move out and it became "a finale" for him. "[I was like], 'Oh, we're not going to talk about this? I guess we're done.' That's how I felt," Dave noted. When the couple joined together, Amber admitted she probably wouldn't have moved out if the experts were still backing their relationship. She was just feeling "so vulnerable" the whole time that leaving was her way out. "I realized I made a mistake," Amber noted, saying she previously shared that sentiment with Dave. Dave, however, told his wife at the time they weren't just going to move right back in together. Dave said it was "a pretty big thing" for her to have done, and it wasn't okay. Amber said Dave's reluctance to allow her to move back him led her to spinning "out of control" even more, especially when it came to her insecurities about Dave not having deep feelings for her. Amber acknowledged she lost Dave's trust, but in the moment, she didn't see that. "So Dave and Amber, the question everyone wants to know the answer to -- are you still married?" Samantha asked. "We are still married," Dave revealed. "Legally, we are still married. It's been a tough three months. It really has been." Amber insisted she learned a lot about herself and wanted to fight for their marriage and try to reconcile and make up for the things she had done wrong, but Dave was not on the same page. "Honestly, I don't think we'll be able to reconcile things. We both hoped we would be in a different place right now, but I think the reality is just that it's not," Dave confessed. Pastor Cal thought they could "absolutely" fix things but the decision was ultimately up to them. Amber and Dave expressed how they will always have love for each other as well as a bond. But the reunion special ended on a high note, with Bobby and Danielle's love story. Danielle shared she and Bobby had yet to fight or argue since filming ended and their marriage was a "very special" union. Bobby explained his marriage with Danielle changed his life for the better and he'll never take her for granted and will always treat her with the utmost respect. "Everyone needs a Bobby," Pastor Cal said. "He has a good soul." Bobby confirmed he and Danielle are "most definitely still married" with a huge smile on his face. All three couples then gathered on the stage, and Mia revealed the charges stemming from her March arrest had been dropped and the case had been dismissed. Mia, however, is still bothered by the fact her mugshot is circulating on the Internet. Mia said she wishes she had told the truth and been upfront with her husband about the incident from the start. Meanwhile, Amber wasn't surprised to find out Dave wanted a divorce. She was embarrassed because she felt like she had failed, but Dave said he didn't view Amber that way. "But divorce is where you're headed?" Samantha asked. "I really do think that's the best thing for our lives," Dave said. Amber said the fact she had dated Dave's friend resulted in Dave not putting as much effort into making their marriage work as he might have put in otherwise. "I feel like we were pretty much doomed. I don't think it was possible for us to have a happy marriage from there because it created a cycle of issues that we had," Amber explained. Dr. Jessica wished Dave and Amber would work with a professional for maybe just two months, but Dave, again, wasn't interested. "No, not at this point," Dave confirmed. Dr. Pepper then suggested Dave should examine why this man in Amber's past means so much to him when everyone has a past and every person on the show is a grownup. Dr. Pepper said Dave should be able to move on from something like that. "I feel a little bit attacked by some of these things. I think I put everything into this and it didn't work out," Dave said. "I think I deserve a little more credit than giving up after I found out she had dated a friend. Like yes, I didn't love it. Obviously finding that out, I was very upset by it. But I did my best to move on, so I'm a little frustrated by that. And I think at this point, no, we are ready to move forward." Looking back, Amber and Mia confessed they wouldn't have gotten married at first sight if they could do it all over again. Mia said she felt some of her "innocence" had been stripped away. Tristan and Dave, however, felt otherwise in that they're happy overall they participated in the experiment. Married at First Sight's reunion special concluded with Bobby and Danielle announcing she's pregnant. The cast appeared shocked and thrilled for the couple, with Tristan even standing up and giving Bobby a huge hug. Danielle and Bobby will now star on Married at First Sight: Happily Ever After with Shawniece Jackson and Jephte Pierre as well as Ashley Petta and Anthony D'Amico.